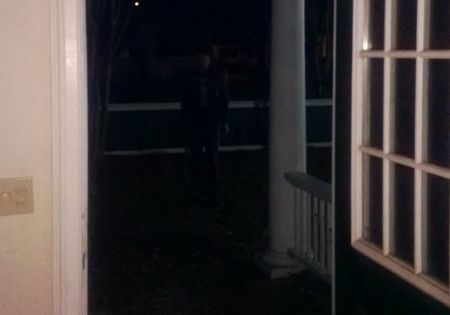 My son lives in a remodeled Victorian home in downtown Ocean Springs, MS. One night he was taking pictures of his friend using his IPhone , nothing out of the ordinary, my son just thought that it would make a good picture. In the first picture you can clearly see the head and shoulder of someone standing directly behind this young man to the right. The second picture taken seconds after the first one, (long enough for my son to turn his phone sideways) nothing was there. 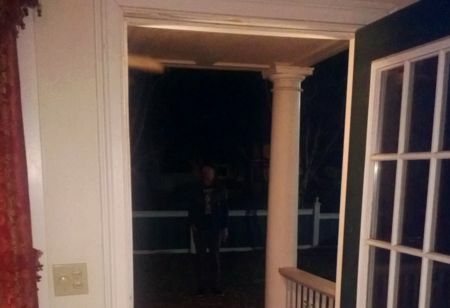 No one else was around, my son's friend didn't think anything of it, he took the picture and left. We didn't think anything more of it until we looked a little closer on a bigger screen. My son tells me there are a few instances at his house that he could not explain, noises, footsteps, etc. Which leads us to believe that someone wanted their picture taken also that night. I would really appreciate someone else's opinion. That is freaky for sure! It looks like a young woman standing behind him. I like this picture!!!! Looks like a young girl sitting on the fence. It feels real.